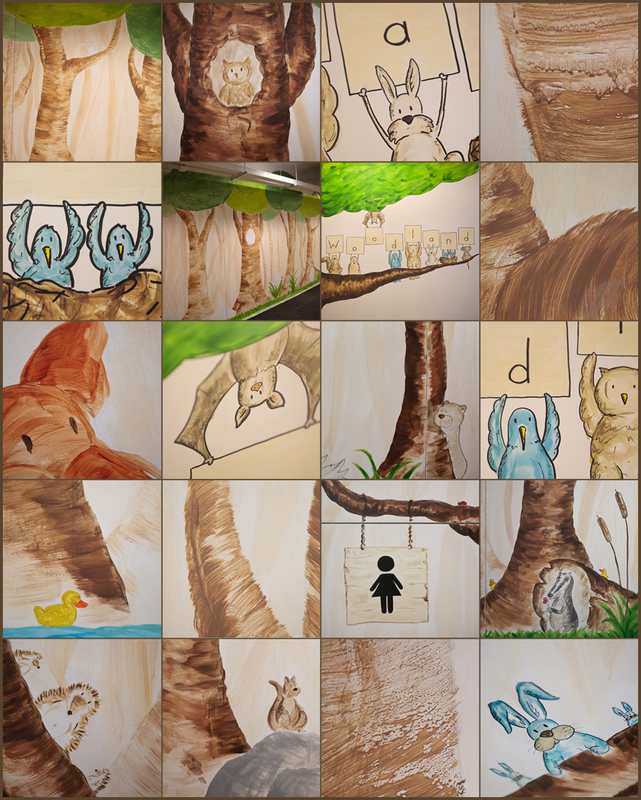 You might remember that I recently did two small murals at a preschool in Hong Kong ( one of Woodland Pre-School's 10 locations in the city). 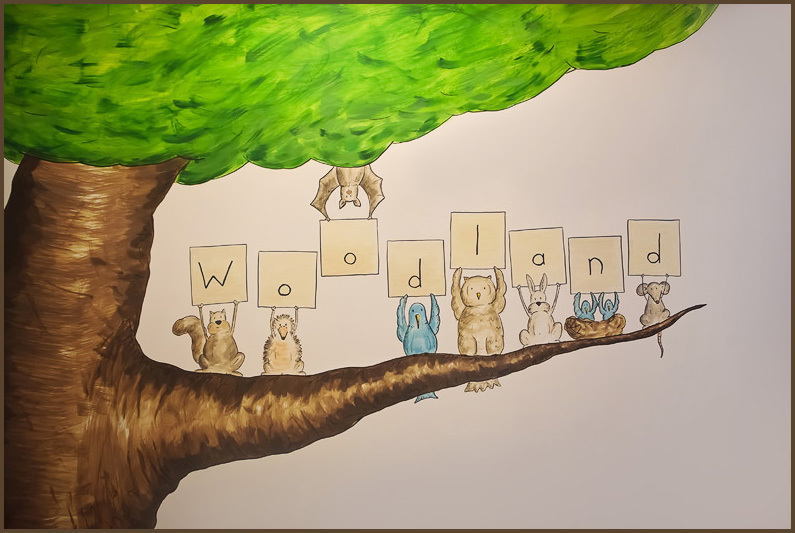 Well those murals turned out so awesome, that Woodland insisted that I adorn the walls of their newest, most spectacular school yet - the Montessori Academy on Caine Road. 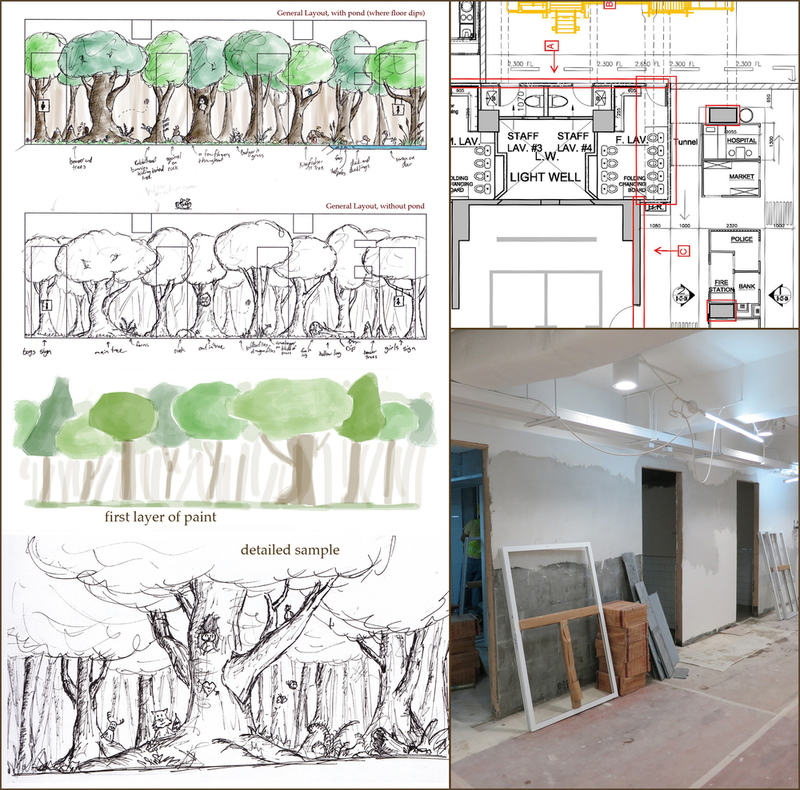 In keeping with the woodland theme, we decided to go with a forest motif for this mural. So once again I picked up my pencil, and went about designing what would soon become the modern version of Raphael's School of Athens. I could go into great detail about the planning, process, and decisions made, but I really don't feel like writing an essay right now. What I will say is that it is a huge honour to be a part of such a great school - the Montessori Academy is amazing.